A GANG of drug traffickers were killed after their boat collided with an Agencia Tributaria patrol boat. An investigation is now underway after four men lost their lives following a ‘freak accident’ in the Strait of Gibraltar. 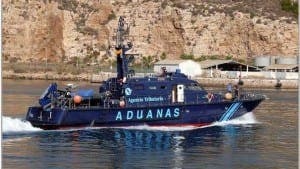 The boats reportedly collided 11 miles from Punta Europa, Algeciras, when the traffickers performed an ‘abrupt maneuver’ after being pursued by the Agencia Tributaria officials. All four men – three Spaniards and one Moroccan man – were thrown overboard following the collision. When their bodies were pulled aboard the tax authorities’ vessel, all four men were already dead. 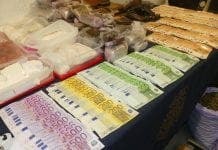 It is believed that the men transported large amounts of marijuana from Morocco to the port of Algeciras. Cadiz deputy leader Javier Torre confirmed a ‘full and comprehensive’ investigation would now be launched into the incident. “I have the deepest condolences for the families of the four people who have died in this accident,” Torre said. “It is a loss that highlights the dangers and the problems of drug trafficking networks operating in the Strait of Gibraltar. The five crew members aboard the Agencia Tributaria boat were all treated for minor injuries. Yes, all 4 died …… but they all died while breaking the law & trying to import drugs into Spain or Gibraltar….. which in turn could have ruined so many more lives …… I’m sure their families will grieve, but as for the rest of us > I THINK NOT ! Apparently they were smuggling cannabis in the form of Marijuana from Morocco, probably low quality hashish more than likely, I would imagine. @ Ray, do you really believe that cannabis ‘ could have ruined so many more lives’ ? Perhaps you should look at certain states in America where cannabis has been regulated, legalized, taxed in cannabis dispensaries & is paying money back into the local community. Oregon collected $43 million in cannabis taxes in one year, whilst Colorado collected $76 million in cannabis taxes in one year. Most of which gets paid back into the local community, thus helping the local economy and people that live there, NOT ruining lives. If cannabis is such a culprit perhaps you should look at the health of the people of the states where it has been legalized and where people do have more access to it. Insistently, it is sold there is medicine (& recreationally in certain states), improving the quality of life of sick people with various illnesses. California gets to vote on Prop 64 tomorrow, that could be interesting how the outcome will effect federal law in America and possibly have sway on the rest of the western world. Not ONE of these unfortunates survived this “accident”? Startling ignorance and untoward malice from Ray and Colin. How are you two on the worlds most dangerous addictive substances – tobacco and alcohol? Could we maybe drown the manufacturers and suppliers of this crap and save hundreds and thousands of world-wide deaths each year? Want to know how many deaths were caused by cannabis? Ever? None. Perhaps if it was legalized, regulated and controlled to some standard then the sub-standard, contaminated or adulterated cannabis could be weeded out, leaving a decent standard product for those who wanted to consume it. 100 years ago when alcohol prohibition was in full swing, it was a similar situation in a way. You had people manufacturing sub-standard product and consequently encountering the dangers that come along with that. With cannabis the danger is not so much with homegrown stuff but more with imported, adulterated and contaminated product which has been imported from over seas, very much lacking any quality control. @ Bryan – As said before, if you think that cannabis is responsible for the ruination of people’s lives or decline in mental health, then perhaps one should look at the places that have legalized or decriminalized the drug & the general population have much greater and easier access to it. In theory, if you are correct then they must all be encountering the same problems (or similar) that your mate supposedly encountered, I think that you will find that this is not happening. If cannabis is really that dangerous why then have British Sugar agreed to cultivate CBD cannabis strains for GW Pharmaceuticals (the only uk pharmaceutical company to have a license to cultivate cannabis) in their giant glass house in Norfolk? stefanjo – what’s happened – a rational post – who would have thought. Bryan – those with mental health problems should stay well away from psychotropic substances. Ray, Colin do you both use the real killers nicotine and alcohol, that makes you drug users – don’t talk about things when you have zero knowledge. I do actually fully agree to the health benefits of Cannabis, & especially cannabis oil – but the fact remains that these people were drug-runners, making illegal profits from other people’s needs (& that you can’t deny). 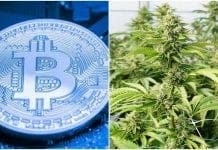 I am also agreeable to making Cannabis a fully-legal drug in Spain (& everywhere else for that matter) and also agree that tobacco & alcohol are actually damaging (whereas cannabis is only damaging if badly abused – the long-term effects being the worst drawback according to so many long-term medical studies). But firstly, the laws of our respective countries do need to be changed and if then made legal – then these criminals would lose their profits …… but they would presumably move on to the other truly harmful drugs that I’m sure most of you will agree should ALWAYS remain illegal (cocaine, heroin etc & the various derivatives…). I have never smoked anything (as I took in far too much smoke in other ways – ex-fire brigade – lol), but have no objection to anybody choosing to do so & will certainly be in the market to use cannabis oil at some point in the future (but, will probably make my own) ….. but these people are criminals > no matter what they are smuggling, and in doing so, they surely caused their own deaths. If anything, Alcohol & tobacco should be added to the illegal list if cannabis isn’t made legal – as cannabis is not generally harmful – and in so many ways is actually beneficial to many, many illness’s & ailments. Luckily, Spain does allow people to ‘grow-their-own’, which is a far more liberal approach than the UK, where it is banned entirely ……. mostly due to the dominance of the massive pharmaceutical companies who are so insistent on it remaining illegal (due totally to the huge profits they would lose if it were actually a fully legalised drug). BUT, these 4 people (who died) were smugglers – nothing more, who chose to break the laws of Spain or Gibraltar and should not expect any sentiment from any of us. You really believe that death is a fitting punishment for smuggling ganja? Utterly baffling Ray. That one sentiment completely negates the rest of your patronising liberalism. Don’t you even wonder why not one of those people could have been saved? But then of course, you don’t care. No, Death isn’t a fitting punishment for sheer stupidity. Yes, they should have been caught and dealt with according to the law of the land – but that didn’t happen did it. They chose their own course of action, the collision (according to reports which you cannot yet deny) is that their boat made an erratic change of course leading to a collision ……. Surely you don’t want to blame the authorities for causing these people to die, when they chose their own course of action. If they hadn’t been smuggling, they’d be alive, if they hadn’t tried to evade capture, they would be alive, if they could swim better, maybe they would have survived, or were they partaking in their own contraband and been as high as a kite when they landed in the water…… if they had been wearing life-preservers (as presumably, were their pursuers), they may have lived …… but they didn’t live and the law abiding citizens of Spain & Gibraltar do not have any blame in that > these people made their own decisions based on greed alone – nothing to do with whether or not you agree with cannabis. it was GREED – pure & simple that lead to their own untimely deaths & they have only themselves to blame for that. of course it wasnt a fitting punishment for them……. but it was their own fault wasn’t it & the police were certainly not to blame. If they weren’t breaking the law and trying to escape, they would have been caught ALIVE……. but in ramming the police boat they really were the cause of their own demise weren’t they – tough life, but that was their choice, no one else’s.